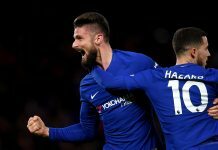 Chelsea survived a tremendous shot across the bow from a resilient Sparta Prague side to draw 1-1 in the match and take the tie 2-1 on aggregate. A wonder strike from Eden Hazard with what was virtually the last kick of the game sent the Blues through to meet Steaua Bucharest in the last 16 of the Europa League. Collecting the ball on the left side of the 18 yard box, Hazard glided past two defenders and rifled a high shot with his left that the keeper was never going to stop and spared the collective blushes of a side who knew that they should have scored earlier. Chelsea supporters can be forgiven if they felt that this just wasn’t going to be their night. 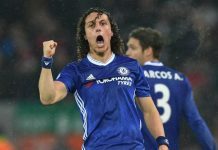 With Frank Lampard and Branislav Ivanovic being rested and left out of the first 18 and David Luiz and Hazard given places on the bench, Chelsea’s lineup was still expected to be strong enough to overcome a Sparta side who had looked unlikely to score a goal in the first leg. That wasn’t to be as the supporters were asked to watch a side who spurned chance after chance before finally succumbing to the vital away goal. At the forefront of the misses was once again everyone’s favorite whipping boy, Fernando Torres, who showed great work rate and willingness to play for the team. However, he was presented with two great chances in the first 10 minutes but missed both. The first came via a pullback after Victor Moses had found his way to the byline, but Torres drug his first-time shot wide. The second came from a teasing cross from the right from Juan Mata, but Torres’ volley narrowly flew over the bar. That was the cue for Sparta to take advantage of their profligate opponents. After a quickly taken free kick, Vaclav Kadlec slid to keep the ball in play, kept his composure, and found David Lafata unmarked from just inside the box and the leading scorer in the Czech League this season couldn’t miss, beating Petr Cech and giving Sparta the lead and the vital away goal. Mata nearly answered 20 minutes later with a brilliant piece of skill that required a great save from the goalkeeper. Collecting a long pass from Ramires, the Spaniard flicked the ball over his own shoulder with a backheel and fired a snap shot that the keeper could only palm onto the roof of his net. However, Chelsea’s profligacy and Torres’ misses continued on the stroke of halftime when his diving header flew over the bar and into the stands. The second half provided much of the same. Just after the restart, Ramires found himself through on goal from a pass from Oscar, but saw his shot fly right into the right-hand post. John Terry then joined in the action, flicking the ball off of a header from Torres at goal that saw another wonderful save. Sparta also had their chances and seemed awfully dangerous on the break through Vaclav Kadlec, who saw numerous opportunities at goal but was unable to convert. Rafa Benitez then drew the ire of the Bridge faithful when he withdrew Oscar for Hazard on the 66th minute mark, and it almost looked as if that change would be the rod for his back in the 90th minute when Marek Matejovsky found Kadlec open inside the box, but the youngster could only fire wide of the target. That set the stage for Hazard’s strike in the 2nd minute of stoppage time and a great sigh of relief was had by all. Previous articleLet’s all laugh at Arsenal! Next articleStop Yaya Toure and you stop City?